Should you pay more for premium solar panels? That question should be considered in two parts. One, will the additional production from the premium panels compensate for the higher cost? Two, are there benefits in the quality between the two panel types which justify the added cost? In order to answer the first question we simply need to compare price per watt (as discussed in our blog on Comparing Solar Quotes). By comparing the cost per watt you can see that the high efficiency panels are more expensive on a per watt basis and therefore decrease your ROI. This leaves us with the second part of the question regarding the quality difference. When phrases like Premium vs. Standard are used, it can seem to imply a difference in the overall quality of the panels which can be misleading. In truth, if you look at the performance specs of two panels made by the same manufacturer (let’s say Q Cells for example) their 270 watt “standard efficiency” panel and their 310 watt “high efficiency” panel, both panels have the same 25 year performance guarantee and both follow the same degradation schedule; the difference is that the 310 watt panels produce 13% more energy for the same size panel and the 310 watt panel costs 65% more. The bottom line is you’re not getting a more durable panel, so it’s not a reason to pay more than the proportional production increase. So why do they make higher efficiency panels, and who is buying them? High efficiency panels make sense in two situations. One is on a sophisticated high-level project like the International Space Station where there are many factors like weight and size that have a much higher level of importance than the cost. The second, which is relevant to homeowners interested in solar, is when a homeowner’s electricity usage exceeds the space they have available on their roof to install enough solar panels to meet that usage. In other words, you cannot fit enough standard efficiency panels on your roof to produce the amount of electricity your home uses. We refer to this as your percentage offset. If a house used 10,800 watt hours of electricity last year and forty 270-watt panels can fit on the roof, each with a 1.0 production ratio, then a 100% offset (270 x 40 = 10,800) can be achieved. But, if in that example, only thirty five panels can fit on the roof, then only an 87.5% offset can be achieved. In that scenario there is a good chance that buying a 310 watt panel, which would produce a 100% offset, would be worth the added cost. This is because the cost of energy from the utility company is so much greater that it offsets the added cost and it is ultimately worth the extra money to get your system to 100% offset. Assuming all other aspects of the solar proposals you are comparing are equal and all the proposals have the same total system wattage, you should go with the quote which offers the best price per watt regardless of whether one has high efficiency “premium” panels and another has standard efficiency panels. Of course, all other aspects of the proposals cannot be equal, so you will have to evaluate each aspect on its own merit to determine if it is worth paying a higher price per watt for any of those differences.  There are other aspects of a proposal which can vary, such as the quality of installation techniques (as discussed in our blog on Solar Aesthetics), quality of other components, installation warranty terms, and overall quality of the installation company, which are topics also covered in our blog Comparing Solar Quotes.